Dmitry Ivanovich Mendeleyev (1834-1907), Russian chemist. Mendeleyev (also spelt Mendeleev) was initially an indifferent student, but left college at the top of his class. 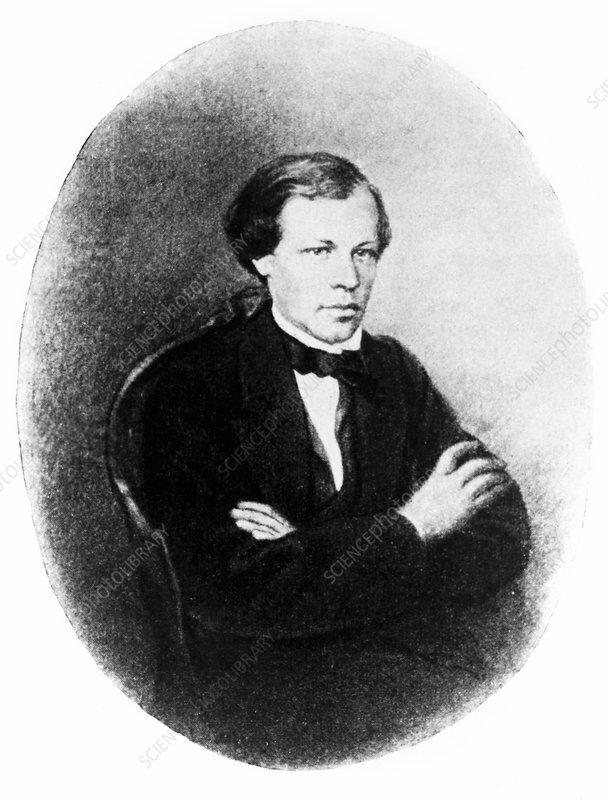 After attending the 1st Karlsruhe Congress (1860), Mendelayev worked on organising trends in atomic weights and valency. From this, he developed the first true periodic table of the elements (final version published in 1871). This contained some gaps, but new elements were discovered that fit the gaps and had the properties predicted by the table. Image originally published in 1855.